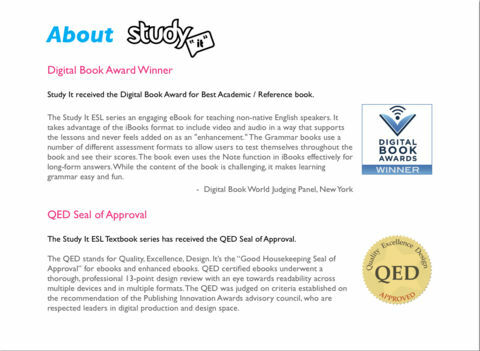 Used in over 40 Language Schools, Universities, High Schools and NGOs worldwide. Each Unit contains vocabulary, listening, speaking, writing and reading practice. The Study It Textbooks work best on Apple Products. 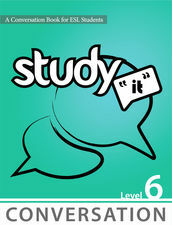 If you have an Apple device, go to the iBookstore to download the textbooks. Some interactive features may not work on non-Apple Devices.